﻿ Book Hotel Perico Azul & Surf Camp (Jaco) - 2019 PRICES FROM $77! Set 2 minutes’ walk from Jaco Beach, in Costa Rica, this hotel features an outdoor swimming pool and a barbecue area. Hotel Perico Azul & Surf Camp offers private rooms and dormitories. Hotel Perico Azul & Surf Camp includes a shared kitchen, a lounge and a small dining room. Outdoors, the pool area is surrounded by lush vegetation and comes with loungers, chairs and sunshades. 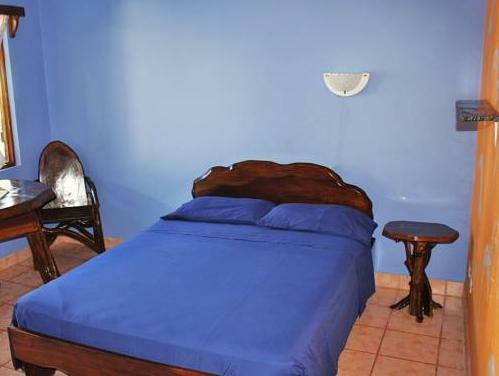 Each room at Hotel Perico Azul & Surf Camp hotel features simple décor, and comes with a private bathroom and free Wi-Fi. Some rooms have air-conditioning and a cable TV, while all of them include a ceiling fan. Suites have a private kitchen. This hotel offers surfing lessons and equipment rental. Other water sports can be practiced on the nearby beach. Overlooking the Gulf of Nicoya, Hotel Perico Azul & Surf Camp is 20 minutes’ drive from Carara National Park. Juan Santamaria International Airport is 53 mi away. Hotel will contact the guest to get the Deposit payment by Bank Transfer. Payment before arrival by bank transfer is required. The property will contact you after you book to provide instructions.